Eric was born May 6, 1948 at Mercy Medical Center to Percy and Thelma Lowe. 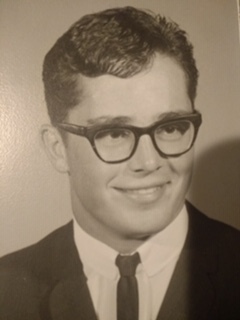 He attended Kuna High School and graduated in 1966. He played all sports growing up but received a scholarship to play football at Graceland College in Lamoni, Iowa. He later got his bachelor’s degree in education at College of Idaho. Eric married Lylas McClintick and raised four sons. He began teaching but ended his career in sales. Eric was a giving, kind soul with a great sense of humor. He was a fighter and through his strength and persistence beat cancer 20 years ago. After his cancer he lost his ability to speak, but he never lost his voice. He perfected his facial expressions and continued to make his family and friends laugh even to his final days. His older sister Glenda and younger brother Lee played a big role in helping him move through life’s obstacles. His step-dad Otto Spielman was also very influential. Times when he was happiest were spending time golfing, fishing - especially teaching his grandkids to fish - and camping at SISCRA in Donnelly. He enjoyed golfing weekly with his friends. He got good enough to be in the Idaho Senior Golf Circuit and even won a few tournaments. 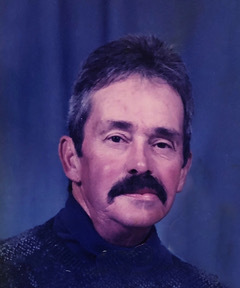 As he liked to say, “If you want to get to know somebody in four hours, golf with them.” He also enjoyed attending church at Shepherd of the Valley Lutheran Church. Eric will be missed by his four sons, Eric Nathan (Trina), Ryan (Nikki), Jason (Kim) and Adam (Holly) as well as his grandchildren Madison, Emily, Hayden (Bayley), Kenzie, Andrew, Adam Jr., Matthew and Megan and great grandson, Jacksyn and numerous nieces and nephews. He is also survived by his brother, Lee and Lylas, his companion for life. He was preceded in death by his parents Percy and Thelma Lowe, step-dad Otto Spielman and his sister Glenda Gross. The family suggests that memorial contributions be made to the American Cancer Society, 2676 S Vista Ave., Boise, Idaho 83705.